If Santa happens to be bringing your littles rain boots this Christmas, you should probably have a look at the current offerings from Mini Boden. Their kids' Wellies (girls' here and boys' here) are about the cheeriest I have ever seen. So cheery, in fact, that convincing kids to wear socks with their boots may not even be much of an ordeal (am I the only one whose children will not wear socks with their rain boots?). These boots, and many other cold-weather staples, are on sale right now at Mini Boden for $23.40 with free shipping. That's 35% off which is perhaps not too bad considering that Christmas has not yet come and gone. I think that they only danger in buying these is that your kids will never want to wear any other footwear again. Thanks for posting! I ordered my daughter a pair of the birdie ones for Christmas. Now she can stop wearing her brother's :) A great price and free shipping. So glad to hear it. The birds are my favorite! Thank you for your wonderful blog and great posts! 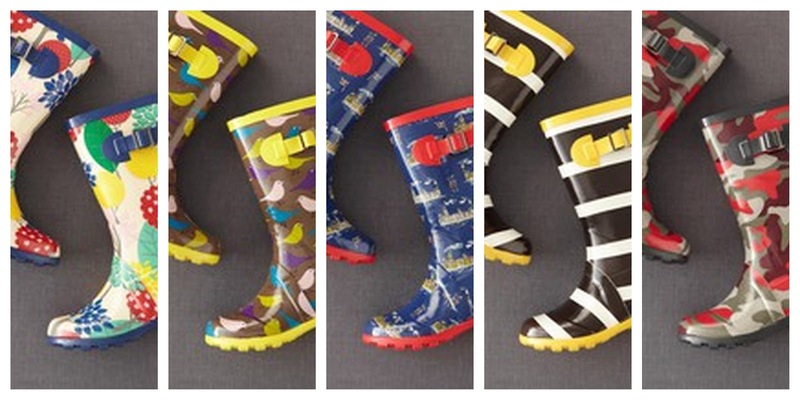 I ordered matching bird wellies for my two girls - think they will love them! I love that bird print so much... I wish it came in fabric too. Hope your girlies are thrilled!